Once the Christmas festivities are over, my thoughts always turn to holidays and where I’d like to visit in the New Year. 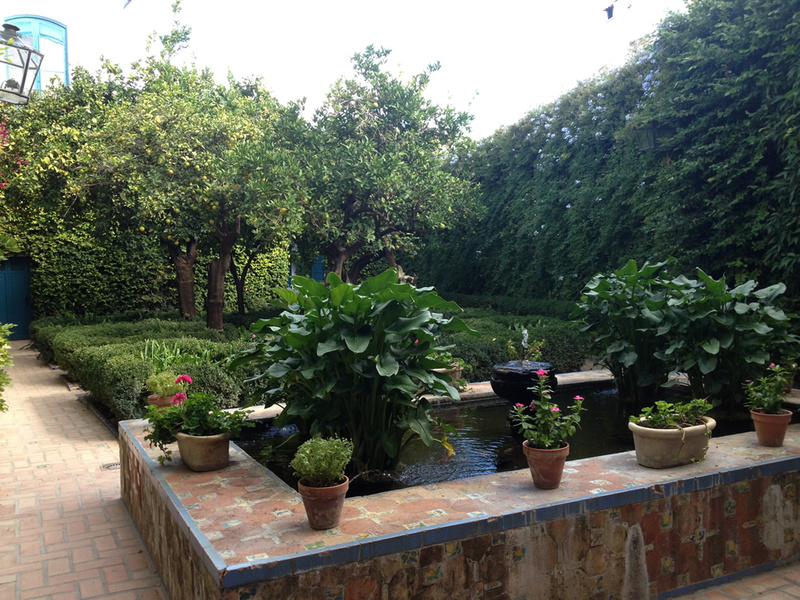 A couple of months ago, I was lucky enough to spend some time in Córdoba in Spain and completely fell in love with ‘ the patio garden’ an integral part of the culture and landscape of this part of the world. 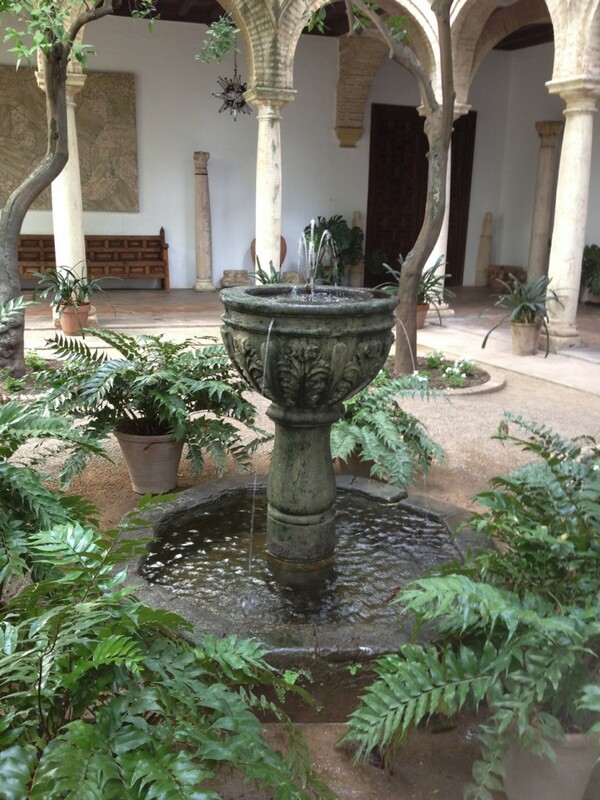 Patio gardens evolved out of a need for the inhabitants of Córdoba to keep cool during the dry, hot weather. The Romans built their houses with a focus around a courtyard, which usually had a fountain in the centre and in many cases a well that collected rainwater. The Muslims later adapted this scheme ushering the house from the street through a hallway and placing abundant vegetation in the garden to increase the feeling of freshness. These patios not only offer a visual feast of colourful flowers, stone mosaics and ceramic decorations, but also bring out the classic scents of Córdoba : jasmine and orange blossom mixed with a myriad of scents from the many flowers and plants. As you stroll down the many winding narrow streets you get the chance to peek at the many patios through the iron gates of the houses. They really are an oasis of calm and beauty and it’s hard not to wish that we had a climate here in Scotland that could sustain such a set-up. If you’d like to go, once a year, the doors open and everyone is invited in to see the wonders of Córdoba’s patios. 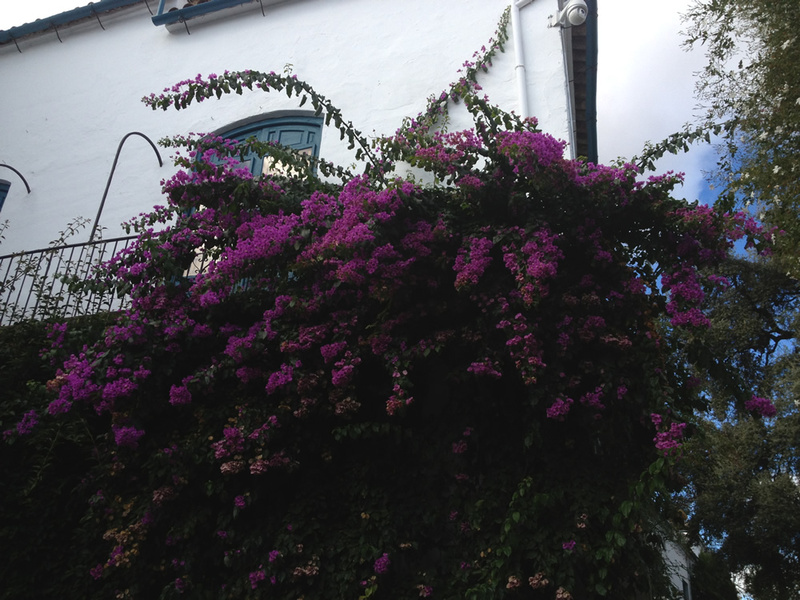 Córdoba bursts into bloom with special festivities for the month of May. Starting off with a parade known as the “Battle of the Flowers”, the city officially launches into its spring celebrations with the May Crosses festival usually taking place during the first week of the month, followed by the Patio Contests. This can easily continue well past the middle of the month giving residents time to get ready for the annual fair at the end of May. Locals and tourists alike wander from house to house admiring these beautiful displays of hundreds and hundreds of pots, filled to overflowing with geraniums, carnations and jasmines, adorning every available window ledge, staircase and doorway surrounding the patios. The Patio contest sponsored by the Córdoba City Hall began as long ago as 1918. A vast range of patios await your viewing. It’s not only private, single-family homes opening their doors to show you the lovely courtyards around which their old-style homes centre. There are also larger, low-built, apartment-style buildings that have amazing courtyards where often many gardeners will work together all year to cultivate the special gems that are their shared meeting areas. If you’re thinking about appointing a garden designer or contractor to help you sort out and improve your outdoor space, here are a few hints and tips to help you. 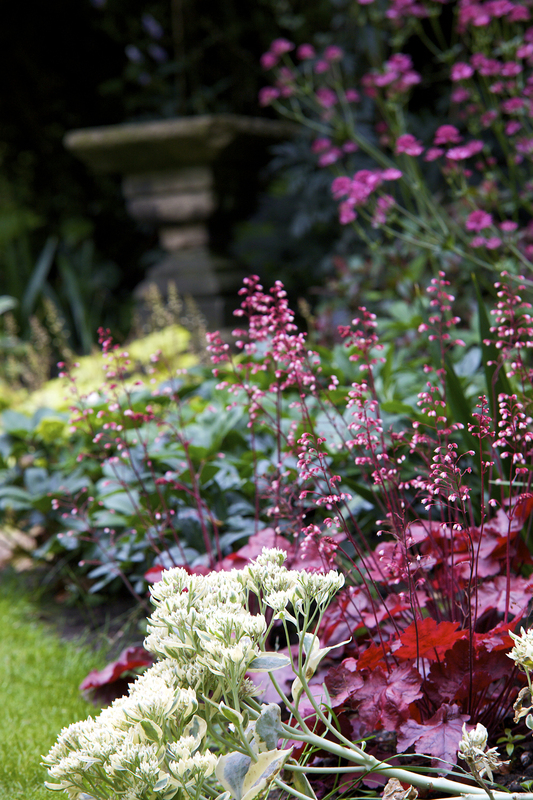 Tips for appointing the right garden designer or contractor for you. Do you get a good feeling about the person you may be engaging, when you first meet them? When you ask for references, are they willing to give you names & contact details of previous clients or do they appear reluctant? Could you stand having them around your property for the time it takes to do the work? Some projects run on for months. Do they have professional insurance if anything were to go wrong? In the case of Garden Designers, have they undertaken any formal training? Where and for how long? Are you clear about the services a contractor offers as opposed to a designer? Tips for making your budget go further. Spend your money on having a design done that will give you a garden that meets all your needs and aspirations. 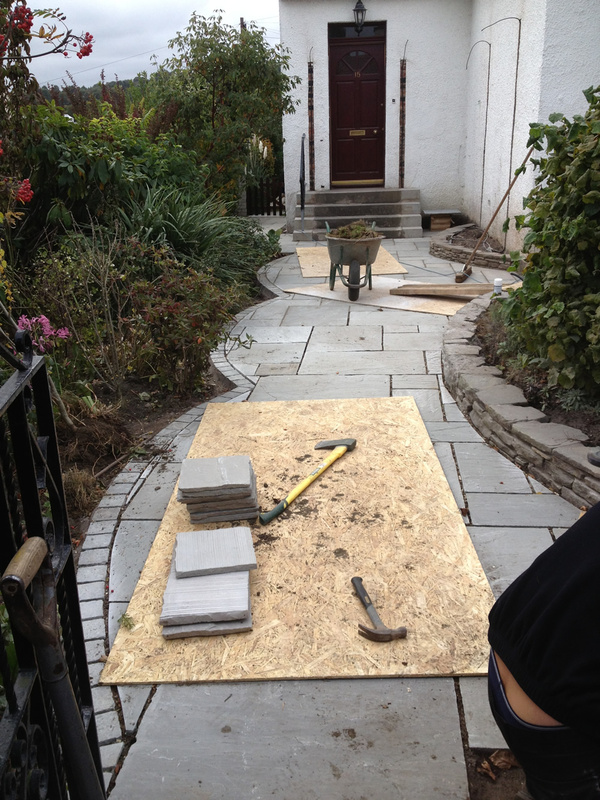 Split the garden build over a period of time so the build can be resumed as and when you have the money. Having a blueprint to work from is essential so that the garden feels right and ‘hangs’ together properly. Without it and doing the garden a bit at a time tends to result in a less pleasing end result. Having a design will allow a contractor to give you a price for each section which will help with your budgeting and planning. Whether you are having your entire garden redesigned or just a part of it, clearing the garden yourself with friends and family will reduce your costs significantly. People are often most shocked at the costs for someone to excavate the site and dispose of unwanted materials. Use any contacts you have who can perhaps supply materials including topsoil and plants and discuss this with your contractor or designer at the start of the project so that can be taken into account. This will affect the quote that the contractor in particular. 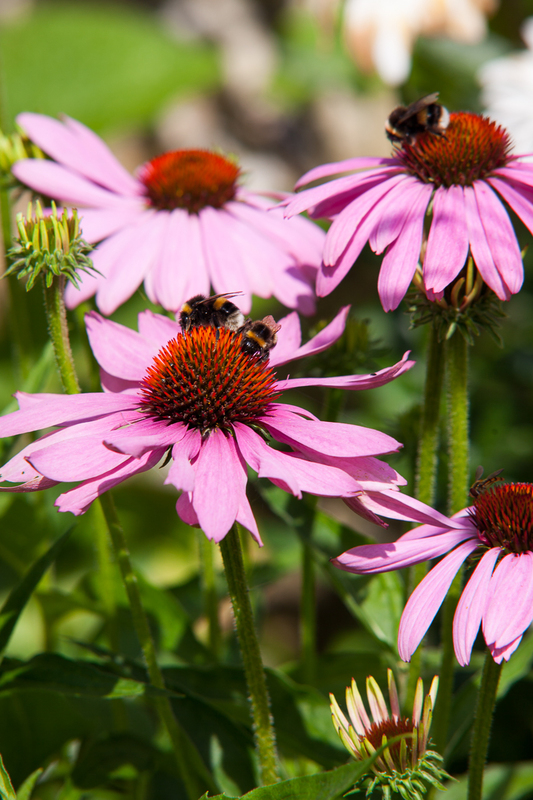 Again, when it comes to planting, you can have a planting plan done at any time of the year, so if you’re short of cash have the plan done in the autumn and the planting done the following spring, that will give you at least a 6 month break between payments. What can you do if you decide not to engage anyone? Going it alone – Tips for making the most of your budget. Try your hand at a design. To make sure you’re on the right track, why not contact a Garden Designer once you’ve finished it and run it by them. Most will charge a consultancy fee of between £40-£50 per hour but you’ll probably only need one or one and a half hours with them. It is a much cheaper option than getting a design done and will ensure that any ’mistakes’ you have made can be corrected before you spend any real money! How much do you want to spend on plants? Be firm with yourself as this is the easiest place to get carried away and spend more money than you intend! Do you want a Chelsea Flower Show look or are you prepared to wait? If your budget is small and you are prepared to be patient buy ’small’ fast growing shrubs and 9cm herbaceous plants. If you have a bit more money to spend then I’d buy larger shrubs and the 9cm herbaceous. Plant in spring so they get as much growth on before the winter. Finally larger shrubs and 2 litre herbaceous for a more instant impact. Aspect, soil and weather conditions. These are crucial to the success of your planting! Basic things to start with are:Does your garden face north, south, east or west? Is your garden battered by northerly or westerly winds? Do you have any frost pockets in the garden? Is your garden on a new-build estate and does it have poor soil or indeed any topsoil at all? Check the pH of your soil to see if you have any areas of acid or alkaline soil? You can buy soil testing kits from any garden centre. Remember that different parts of your garden can have different pH levels and this will affect your plant choice. Do you have beautiful loamy soil? Most people don’t, so be sure you know what you’ve got! Plants that will thrive in sandy soils will be different from those suited to a clay one. The same applies to the location of the garden. Seaside gardens and town gardens will require the same thought and consideration when it comes to planting. Where you buy from matters! I’d suggest with our unpredictable weather that you buy fully hardy plants locally. That will ensure but not guarantee that you give your plants the best chance of survival in your garden. It is tempting to buy a frost tender plant from Cornwall that catches your eye! Buy it, but be prepared to lose it. You may be lucky and in a sheltered part of the garden with fleece or brought indoors to overwinter it may well be fine. But if sourcing plants yourself then I would suggest you buy plants grown in Scotland for a Scottish climate!